"Bhopal: 30 Years of Tragedy"
"The Ebola Outbreak in West Africa"
"On the Brink of an Abyss"
"Blue Sky Days - Surveillance and Targeting in the Drone Age"
Iraq, Zacho - most Yezidi refugees live in Zacho who have fled from the Shingal region that was easily attacked by ISIS troops. They live in destroyed houses, unfinished steel skeletons of skyscrapers. In the high-rise estate around 8000 refugees live in a confined space without food with bacteria-contaminated drinking water. Feces are everywhere.The wind blows through the floors. Many Yazidi refugees have lost everything. 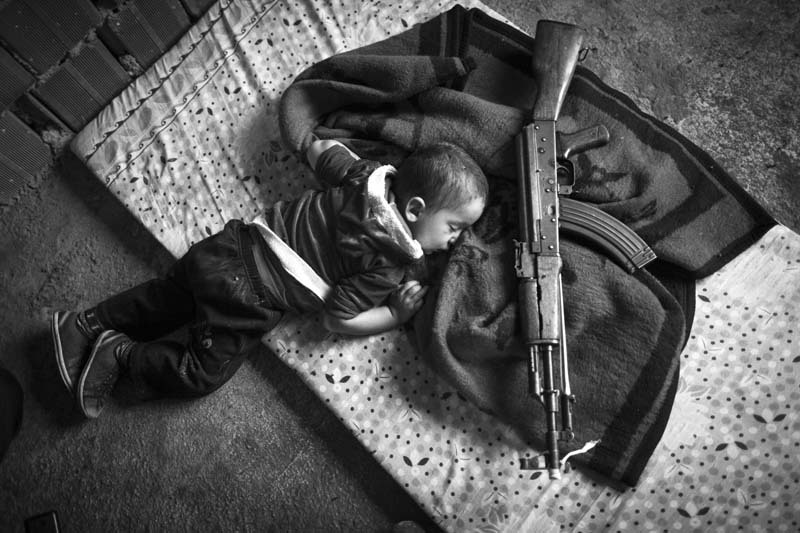 In one room, a child was sleeping on a mattrass, the gun of his fahter right beside him. "For protection" the father said.